A tailored collar, a self-tie wrap belt, an inside tie, a pocket and rhinestones. Model is 5'9", 135lbs and wears S/M. Envelope yourself in this luxurious silky satin robe. This elegant kimono robe is designed to provide trendy comfort and style. The light and soft satin adds a chic light layer over nightwear. Rhinestone embellished robes make a quality gift for your mother in law! 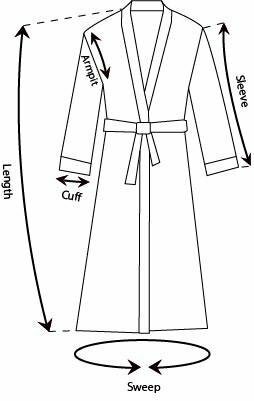 This robe features a tailored collar, a self-tie wrap belt, an inside tie and a pocket.